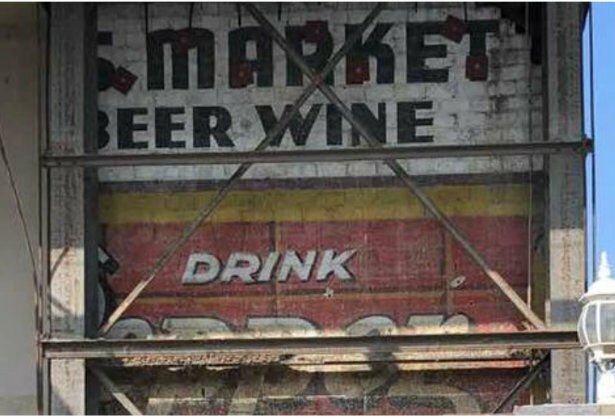 Atwater Village — The extensive remodeling of a building at the corner Los Feliz Boulevard and Edenhurst Avenue has revealed a tall strip of signage — including part of an old Dr. Pepper sign — painted on a brick wall. Now, one Atwater Village resident is asking if it’s possible to preserve this piece of Atwater Village past. Diana Lee decided to do some digging after she spotted a photo of the old sign taken by Art Perez, who posted it on NextDoor. The sign was revealed as workers apparently stripped away a section of stucco that had covered the commercial sign, which itself is now dwarfed by a large billboard overhead. The building is currently being converted from a bakery into a banquet hall. But for nearly 60 years, the same building served as home to Allen Wertz Candies, which operated a factory and store here from 1948 to 2006, according to a city historic survey. 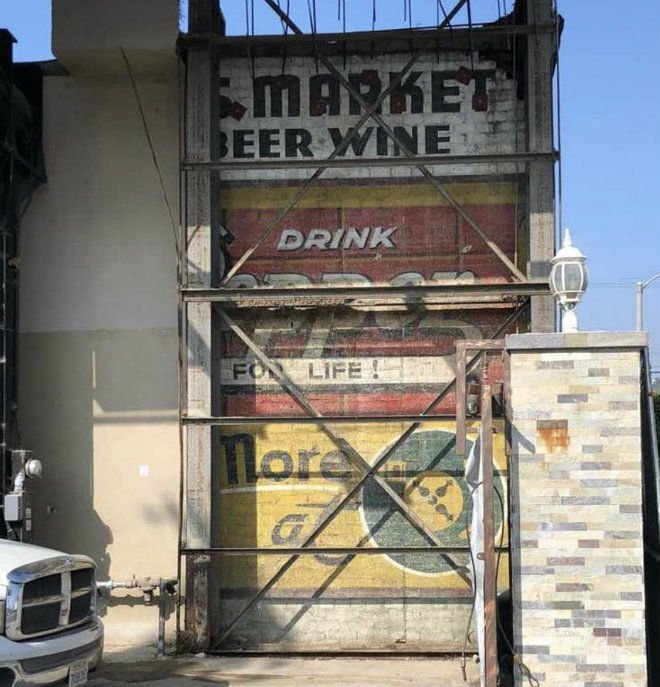 But Lee, after checking old street directories and photos on the L.A. Public Library website, said it appears that the old Dr. Pepper sign might be associated with an even earlier tenant that occupied the building in the late 1920s — the Los Feliz Produce Mart. A summary of recent building permits mentions that the remodeling of the exterior facade calls for new stucco. But Lee has another idea. Update: Netty Carr, who has been involved in efforts to research Atwater Village history, turned up some old building permits provide more info on the building. In 1925 Herman Shapiro took out a building permit to build an outdoor market on the site, one of several markets that operated there until the 1940s. In August 1947 a permit was issued to convert what was then a carpenter shop into an expanded candy shop for Allen Wertz.